George began his appointment as Deputy Vice-Chancellor (Research & Development) in August 2012. 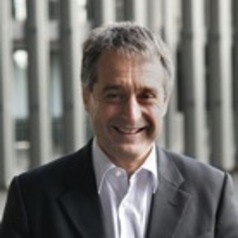 George had more than 30 years experience in research and research management, and previous to his Deputy VC (R&D) appointment at Swinburne, he was the Chief Executive Officer of the CAST Cooperative Research Centre. At that time he was also Professor of Materials Science in the School of Mechanical and Mining Engineering at The University of Queensland. George previously held the position of Chief of Research at the Australian Nuclear Science and Technology Organisation (ANSTO) where he coordinated research in environmental science, radiopharmaceutical development, materials engineering and applications of neutron scattering. As a researcher George achieved international recognition in the field of plasma surface engineering. George has significant experience and a long list of achievements across the Australian research sector with a strong focus on the promotion of excellence in research and innovation.